The brief was to use 2d icons of recognisable buildings to publicise the area for potential tourists. The map was commissioned by the organisation ‘we are waterloo’ and the cartographers Lovell Johns. This particular illustrated map was produced in illustrator. 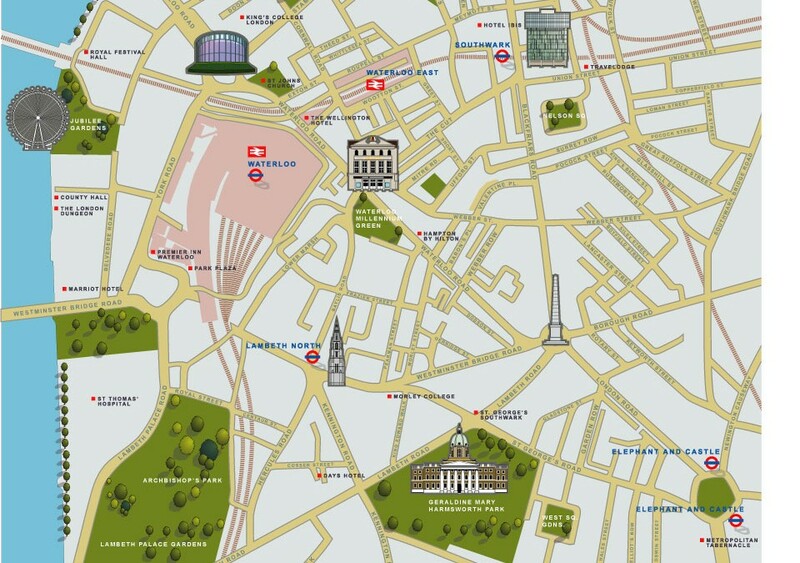 The underlying map of the main roads in this area of London and the building illustrations imposed on top.